ConnecticutMan1 emailed me an unlikely and highly entertaining article posted by Warranted Wiretaps. They have obtained an exclusive mp3 file of a conference call put together by "the national liberty movement" to improve the quality of right wing blogs. I don't get why insurance companies aren't for a bill that will get them 21 million more clients. If anyone out there gets it, please reply. The answer also explains why we must continue to work with the Democrats who actually voted for a health care reform bill to end the tyranny of insurance corporations over our personal lives. Action Diary: Pass the Public Option Today! The battle for health care reform remains fluid. Various proposals have been working their way through Congress. At each stage of the process, a different sort of concerted action is required to insure a meaningful bill and a robust public option. We have reached another critical juncture, and your help is badly needed. (ConnecticutMan1 posted a news round up on this issue yesterday. Read more about Action Diary: Pass the Public Option Today! I had the opportunity to interview New Mexico Congressman Ben Ray Lujan in his Washington office on Thursday September 17. Limited internet access while traveling, unfamiliarity with mp3 files, Rosh Hashanah and the complete failure of our household plumbing conspired to prevent me from posting the interview and transcript until today. I apologize in advance for the poor sound quality. 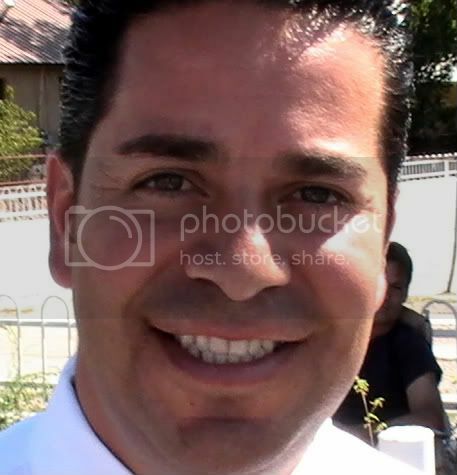 And I must add the following disclaimer: I am not a hard-nosed professional reporter, but rather a constituent of Congressman Lujan. I like the policies he supports. What follows is a friendly dialogue about health care between a Congressman and a constituent. Several main points of interest emerged. I am left speechless by Senator Tom Coburn's (R-OK) response to a sobbing woman, begging for help because her insurance company will not pay for a feeding tube for her brain-injured husband. I work in the health care field in New Mexico, and have had the honor of collaborating closely with Senator Jeff Bingaman and his staff three times. I can say from personal knowledge that he is a genuine champion of health care reform.